UPWARD Carolina Chocolate Drops cofounder calls her work on T Bone Burnett project the best she's done. 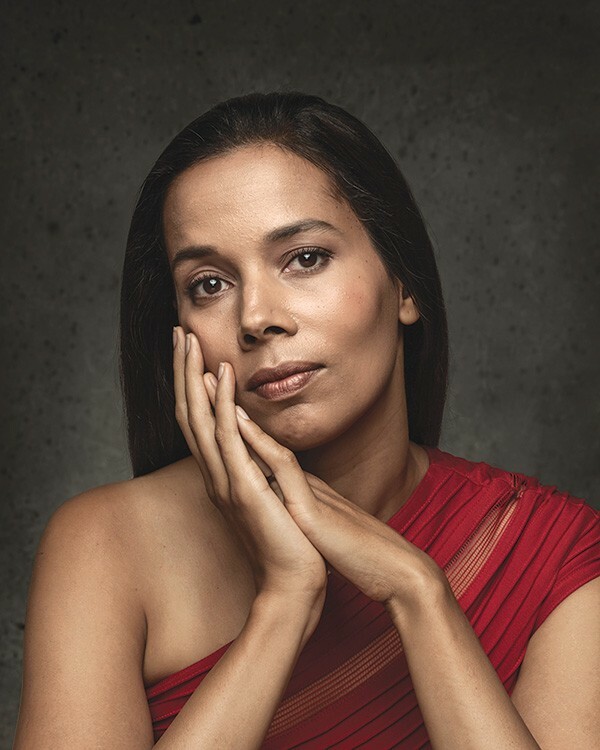 If there's one thing Rhiannon Giddens detests, it's genres. Classically trained in opera, Giddens moved on to a whole different style of music when she cofounded the Carolina Chocolate Drops, the Grammy-winning old-time string band. She plays at City Winery in Napa on May 11. "I hate genres. I know that they're necessary, but I hate them," Giddens says with a laugh during a mid-March phone interview. "Americana, what the hell does that mean? I don't know. It's American music, that's all I know. If people want to call it Americana, that's fine. What I've learned is that these labels change and what they mean changes." Giddens may have to grapple with the genre topic quite a bit now that she has expanded her musical range by participating in T Bone Burnett's New Basement Tapes project and releasing her debut solo album, Tomorrow Is My Turn. The common thread running through both projects is producer Burnett, who first saw Giddens perform in 2013 and suggested they work together. He won over Giddens by asking what her ideal project would be. "I had this list of things that didn't really fit into the Carolina Chocolate Drops," Giddens says. "I was just setting them aside, thinking about all these incredible women I was inspired by. It was something that had been hibernating for me, so when T-Bone asked me what my dream record would be, I already had a project right here." The resulting 11 songs on Tomorrow Is My Turn form a tribute to a broad range of female singer-songwriters culled from that dreaded Americana category; Giddens interprets songs by, among others, Dolly Parton, Sister Rosetta Tharpe and Joan Baez. While working on Giddens' debut, Burnett invited her to participate in his New Basement Tapes project. She joined Jim James of My Morning Jacket, Elvis Costello, Marcus Mumford and Taylor Goldsmith of Dawes in setting to music previously unreleased lyrics written by Bob Dylan during the time he was recording what became The Basement Tapes with the Band. The project had its challenges, considering that five bandleaders needed to agree on how these songs would sound. But Giddens found the experience rewarding. "It was pretty amazing," she says, "but it was also very difficult for me. I had to push through a lot of things for myself personally, but that's where the best art comes, when you're striving to overcome something. "I think it's one of the best things that I've ever done in terms of the output and what I learned and gained. I think I will be processing that for years to come." Rhiannon Giddens plays City Winery with Bhi Bhiman on May 11 at 8pm. $25–$35. 1030 Main St., Napa. 707.260.1600.